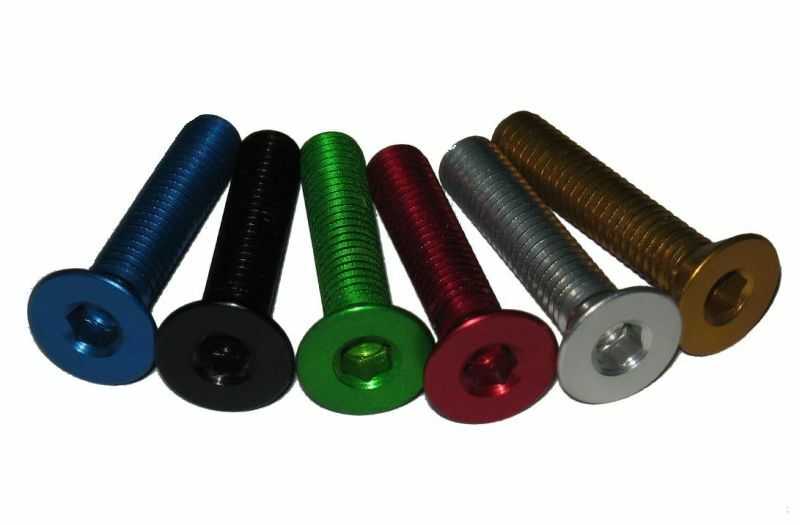 VBS Hexagon socket countersunk flat head cap screw (TSPEI) ergal 7075T6 6 colors. 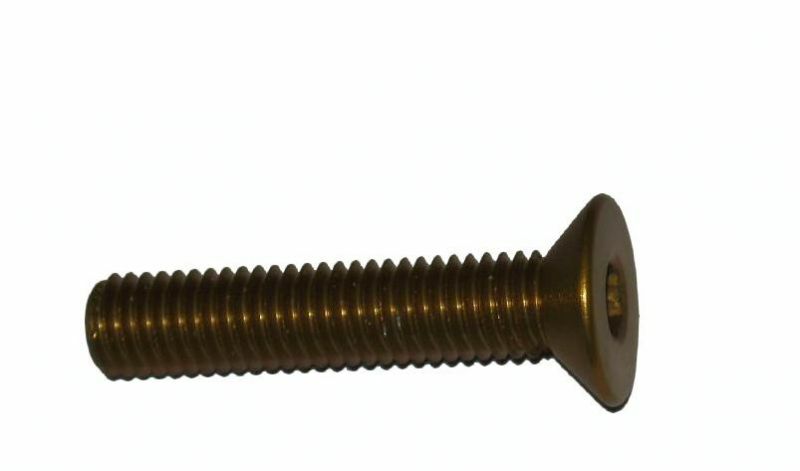 Made with solid material using CNC no thread rolling or other systems. So you get the best quality as the material is not heated or pressed keeping its features. 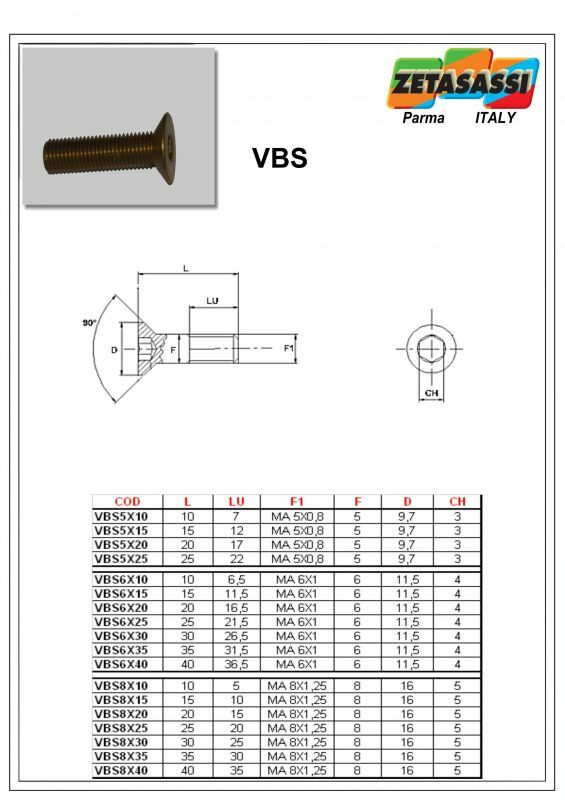 VBS Hexagon socket countersunk flat head cap screw (TSPEI) ergal 7075T6 6 colors.